Markus’s trades raised many red flags. He never paid transaction fees and reportedly paid seemingly random prices for bitcoins. Most curious of all, we identified many duplicate transactions in which the amount paid was changed from an implausibly random price to one that was consistent with other trades that day. In the end, we have concluded that Markus did not actually pay for the bitcoins he acquired; rather, his account was fraudulently credited with claimed bitcoins that almost certainly were not backed by real coins. ….Unlike Markus, Willy did not use a single ID; instead, it was a collection of 49 separate accounts that each rapidly bought exactly 2.5 million USD in sequential order and never sold the acquired bitcoin. The first Willy account became active… a mere 7 hours and 25 minutes after Markus became permanently inactive…. Why do we suspect foul play?… Normal accounts for this time period had IDs that capped around 650000 where the users at the center of this research had IDs in the range of 658152-832432. Furthermore, several reports can be found online of the Mt. Gox trading API going offline for various periods of time in which no trading activity was being processed with one exception….During this time period the only activity being processed followed the exact buying pattern of Willy when he was active: 10-19 bitcoins purchased every 6-20 minutes. ….Unlike, Markus, it appears that Willy was interacting with real users. While accounts of these users were “nominally” credited with Fiat currency, Willy did not actually pay for the bitcoins. Hence, together, these unauthorized traders “acquired” around 600,000 bitcoins by November 2013. Perhaps unsurprisingly, this is very close to the number of bitcoins (650,000) that Mt. Gox claimed to have lost when it folded in early 2014. On February 14, 2013, when Markus started trading, bitcoin was worth less than $30 and showed no real signs of taking off. By the time Willy and Markus were done, bitcoin was worth more than $1,000. Now, it’s true that after Willy and Markus were finished and Mt. Gox finally folded, the price of bitcoin crashed back to earth and stayed flat for years. 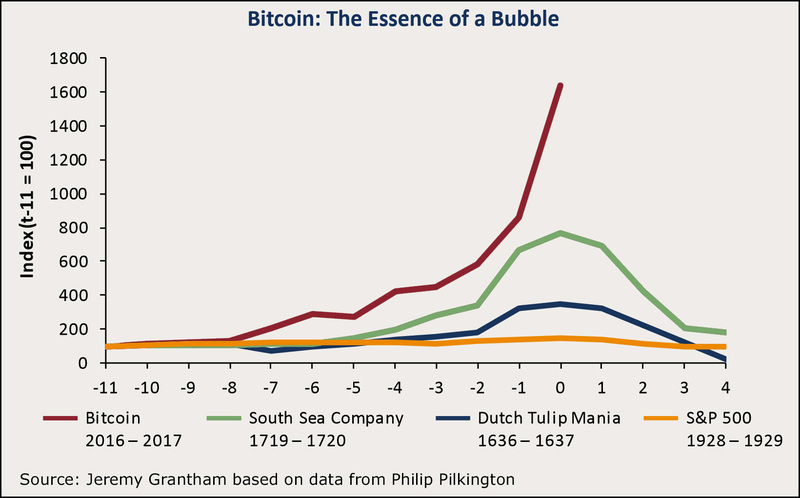 So obviously this has nothing to do with bitcoin’s latest bubble, which took off in 2016. Still, it’s a reminder that, blockchain or not, cryptocurrencies are the wild west of daytrading. Is everything now on the up and up? Maybe. But what evidence does anyone have for that? 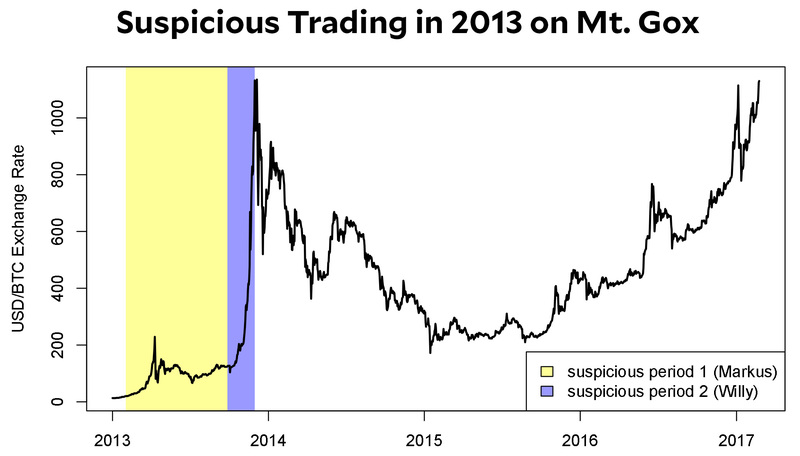 Shady commodity manipulation is regrettably common even with a whole bunch of national regulators keeping an eye on things. How common do you think it is in a market where there are almost literally no rules and no regulatory bodies at all?